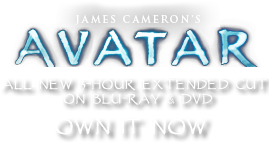 Leaf Plate / Bowl Carrier | Pandorapedia: The Official Guide to Pandora | Own AVATAR on Blu-ray & DVD Now! Na'vi etiquette and tradition dictates that these trays are passed to every participant of a social gathering or ritual. One should not take a bowl, which is used for a mildly intoxicating drink, off the tray for his or her own use. Instead, one must hold the tray and allow another adjacent clan member to take the bowl and place it before the drinker. Only then can one drink from the cup. During festive occasions, children enjoy following the tray around the circle so that they can be the one to place the bowl in front of the tray holder.